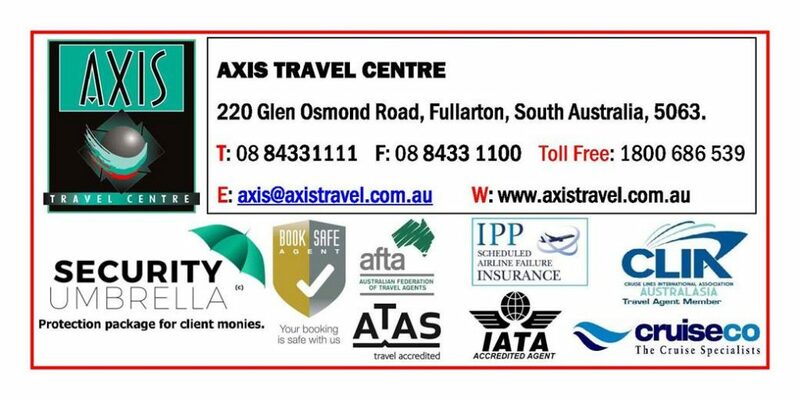 COVERMORE Insurance -Axis Travel can include”cancel for any reason” clause. Visas- to enter some countries. Frequent Flyer HOT DEALS-add these to your flights.! AXIS TRAVEL CENTRE will not forward or share your data to any 3rd party at any time without your consent as we believe in privacy and respect this aspect of our lives.